entrance hallway 7.92m in length Doors leading to living room, master bedroom, kitchen, dining room, bathroom, separate WC and stairs to first floor. Two radiators. Deep airing cupboard with wooden slatted shelving, hanging space which is also accessible via cupboard door in the kitchen. Living room 5.16m x 3.63m Delightfully light and spacious dual aspect room with Upvc double glazed picture window to front overlooking the garden. Upvc double glazed picture window to side overlooking the garden. Radiator. Feature marble and granite ornate fireplace with inset coal effect electric fire with fan heater set into polished granite hearth and back board with ornate marble mantle and surround. Master bedroom 3.94m x 3.33m Another very light dual aspect room with Upvc double glazed picture window overlooking the front garden and Upvc double glazed picture window to side elevation. Large built in double wardrobe with a row of cupboard units. Radiator. Conservatory 3.96m x 1.52m Tile effect flooring. Upvc double glazed windows to three sides. Upvc double glazed door to two sides all with delightful aspect on to the rear garden. Dining room/bedroom four 3.66m x 3.35m Upvc double glazed picture window to side. Radiator. Coved ceiling. Family bathroom 2.79m x 2.11m Polished stone effect flooring. Four piece suite comprising of corner bath with hot and cold taps over, double shower with wall mounted 'Galaxy' shower over. Vanity unit with inset wash hand basin with mirrored splashback. Tiled to four walls. Towel rail. Radiator. Upvc double glazed obscure window to side. Separate WC Tiled to four walls. Low level WC. Upvc double glazed obscure window rear. First floor landing Upvc double glazed window with rural views to the rear. Doors leading to bedrooms 2,3 and 4. Bedroom two Upvc double glazed window to side. Radiator. Eaves storage space to two side. Loft hatch. Bedroom three 4.90m x 3.35m Upvc double glazed window to side elevation with delightful; far reaching country views. Radiator. Eaves storage to two sides. Bedroom five 2.90m x 2.34m Radiator. Loft access. Shower room Shower cubicle with electric shower over. Inset wash hand basin. Wall mounted mirrored medicine cabinet. Low level WC. Upvc double glazed picture window to rear with delightful far reaching country views. Outside Courtlands is approached and can be accessed to the front via a pedestrian gateway or with vehicular access to the side of the property on to a driveway providing space for five/six vehicles. This driveway also gives access to a detached garage and gives pedestrian access to the rear garden. To the front of the property is a very pleasant enclosed garden which is predominantly laid to lawn with a pleasant range of shrubs and plants to the borders with a boundary wall and attractive flower beds to the front. A pedestrian concrete footpath bisects the front lawn and gives access to a crazy paved area which gives pedestrian access to the front door of Courtlands. To the side of the property is another concrete paved pathway which leads to the rear of the property which is flanked by a pleasant lawned area again which in turn is flanked by mature shrubs and hedging. This pathway leads to the rear of the garden. To the rear of Coutlands is a delightful enclosed and particularly private garden area which is predominantly laid to lawn and is bordered by a range of plants, shrubs, hedging and trees. To the rear of the garden is a stone wall with gated access to a further area of garden beyond. In this section of garden can be found a greenhouse with approximate dimensions of 8' x 6'. To the side of the rear garden is a concrete paved area which can either be access from the rear garden or directly from the conservatory to the back of the property, which is ideally suitable for tables, chairs and barbeque area. Beyond this point a concrete paved area continues and provides access to the garage and timber shed with approximate dimensions of 12' x 6'. Garage Internal dimensions 11.89m x 4.57m A highly impressive predominantly stone built structure with traditional electric door. Glazed window to side. Vehicular storage area, and a separate workshop to the rear of the garage. The secondary room in the garage is currently used as a store room and has low level WC and pedestal wash hand basin. Nb: Planning permission has been granted for the conversion of the garage unit to created ancillary accommodation. 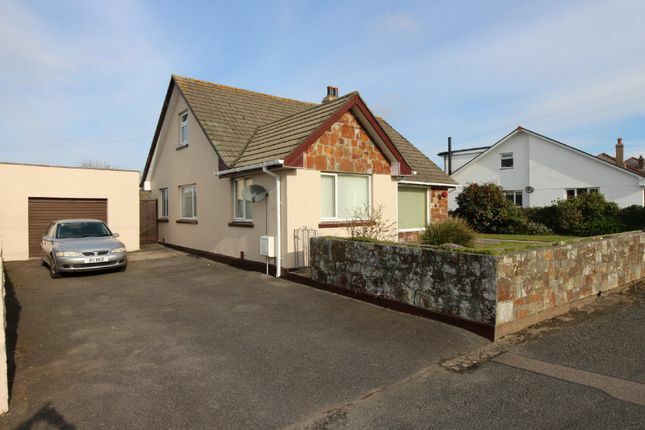 Property descriptions and related information displayed on this page, with the exclusion of Running Costs data, are marketing materials provided by Millerson, Camborne, and do not constitute property particulars. Please contact Millerson, Camborne for full details and further information. The Running Costs data displayed on this page are provided by PrimeLocation to give an indication of potential running costs based on various data sources. PrimeLocation does not warrant or accept any responsibility for the accuracy or completeness of the property descriptions, related information or Running Costs data provided here.